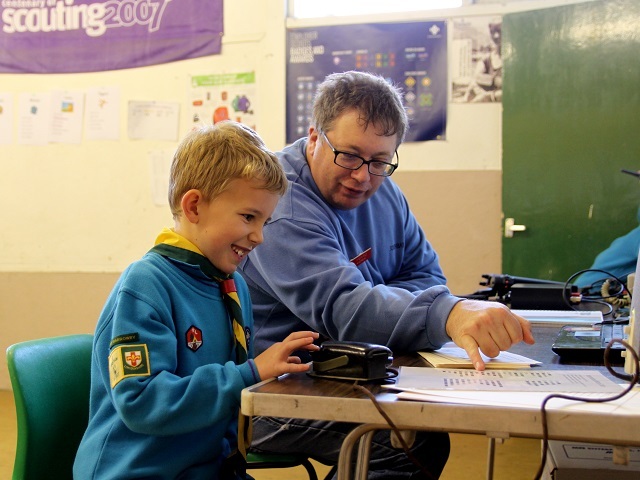 On Saturday 21st October 2017 South Kesteven ARS operated an amateur radio station as part of the annual Scouting JOTA-JOTI event, this year celebrating 60 years of JOTA, and 21 years of JOTI. 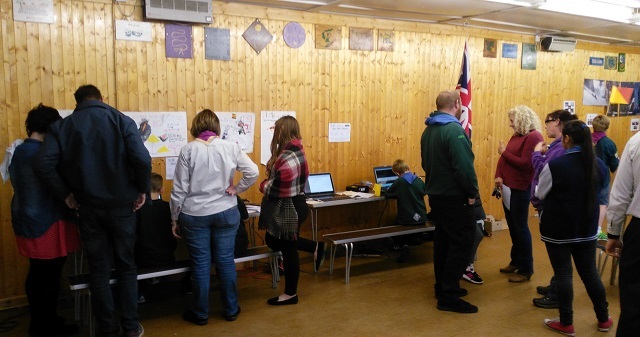 GB1GDS operating from the 1st Foston Scout Hut and the event was attended by scout groups from all over the Grantham District. Andrew (M0NRD), Stewart (M0SDM), Sean (2E0ENN) and Brian (M0YBX) were in attendance. 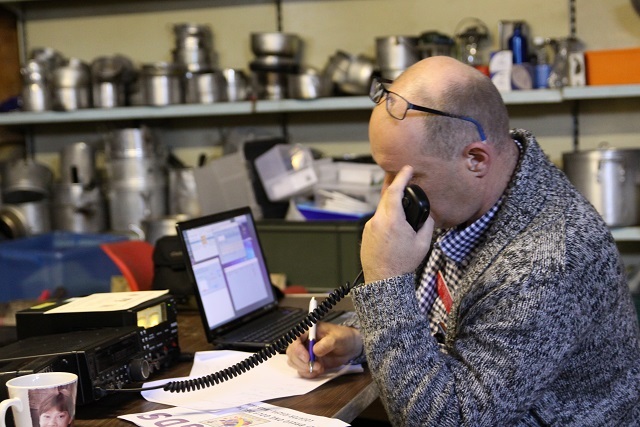 As in previous years the main SSB station was in the store room to provide separation from the hubbub in the main hall and was manned by Stewart (M0SDM) for most of the day. 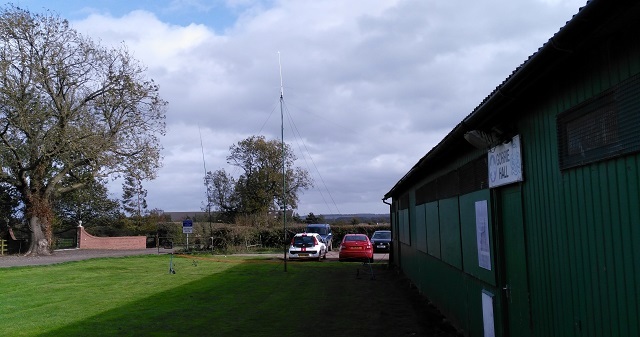 Using a Yaesu FT-450D running 100W into an OCF Dipole excellent band conditions on 40m meant non-stop contact with other JOTA stations and amateurs around the country and Europe. Stewart with some eager Beavers! 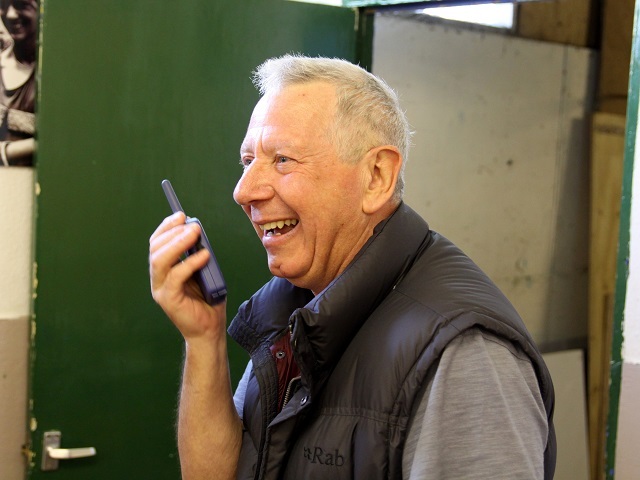 In keeping with the aims of JOTA we didn’t chase numbers instead we had some lengthy quality contacts with lots of two-way greeting messages being sent to really give the children a full experience of using the radio. 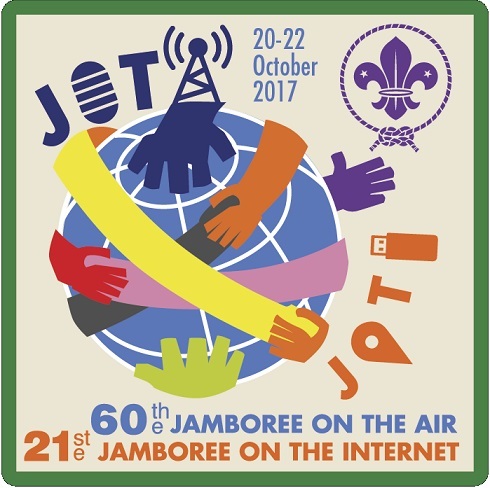 In addition to our own scouts we were able to hold conversations with other groups and JOTA stations. 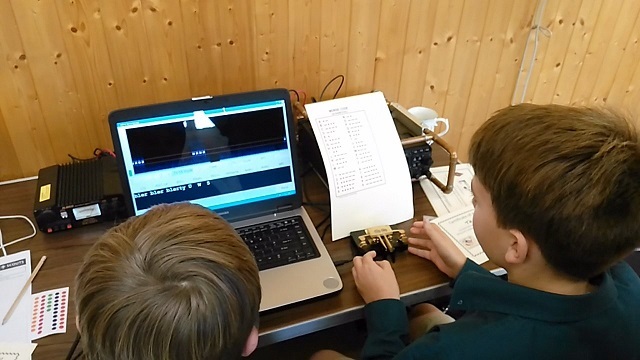 Brian (M0YBX) was the Morse Code guru for the day, bringing along his radio a straight key, a Iambic key and his computer running the MRP40 decoder so the children could see the Morse code as well as hearing it and watch their attempts at keying being decoded in real-time. There was also another practice Morse sounder which proved popular for those bitten by the bug. 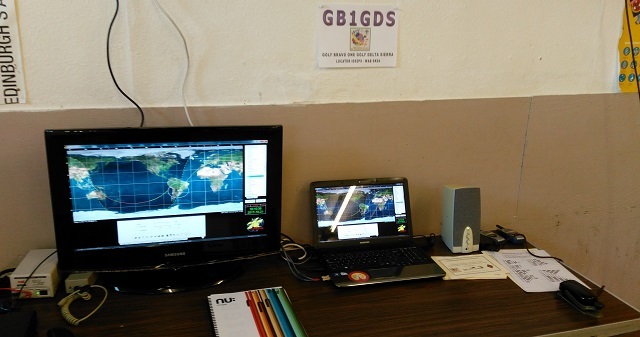 A data station was setup also, running primarily the currently fashionable FT8 mode . Using a FT-857D using low power (10W) on the 15m band with an end fed wire up a fibre-glass fishing pole. A number of PMR446 walkie talkies were available for the children to play with radio in a less formal way but even the grown ups got in on the act! 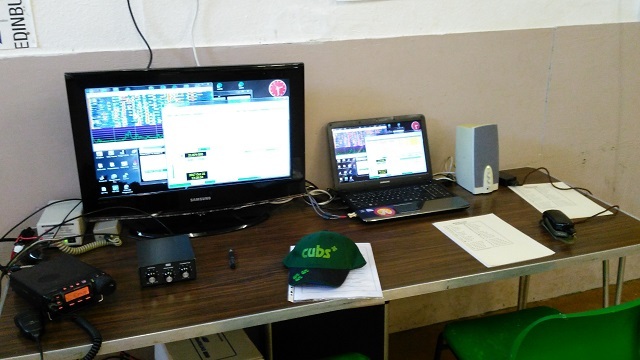 One bonus this year was during both sessions an ARISS school contact took place both in the morning and afternoon. Astronaut Paolo Nespoli on board the International Space Station was answering questions in Italian from schools in Italy. 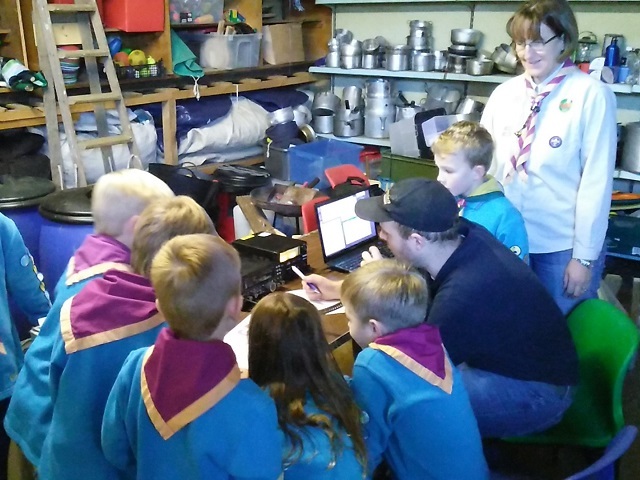 We were able to demonstrate receiving the downlink live on 145.800MHz as well as watching the HAMTV feed via the Internet (the delay proving we were hearing it live) The children loved hearing the signal come in and then fade out as the space station passed over head, one even tried to call him on the PMR446 radio! 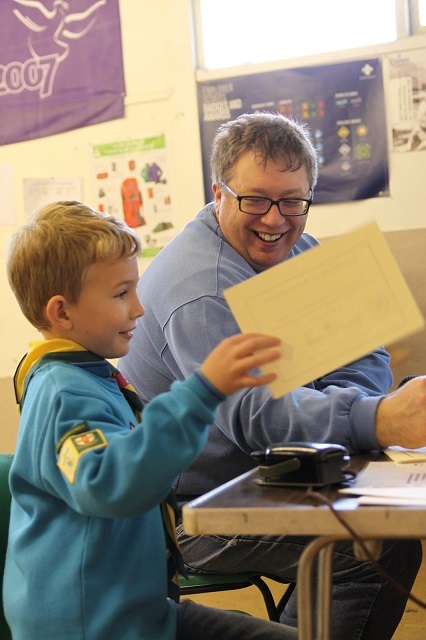 As in previous years, SKARS supplied certificates for the beavers, cubs and scouts to prove they had sent messages and Morse code. 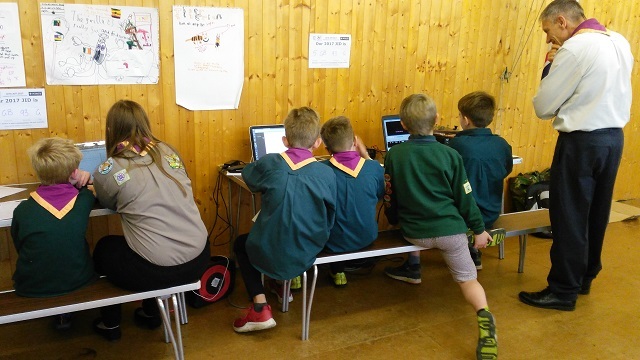 In addition to the JOTA the scouts had a JOTI internet setup where they could chat online to other groups.